The Book of Hallowe’en by Ruth Edna Kelley was published for first time in Boston, Massachussets, in 1919 and no one could imagine that it was destinated to become an international best seller, published in many countries and translated in many languages until the present days. Ruth Edna Kelley, born in 1893 in Lynn, Massachussets, was only twenty-six years old when wrote The Book of Hallowe’en, an essay stood alone as one of the only serious scholarly works on the subject of Halloween for over seventy years as the preminent source on the meanings and traditions behind one of the most ancient and popular celebrations of all the western world. 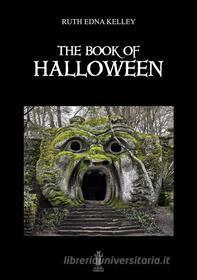 Scrivi una nuova recensione su The Book of Halloween. E-book e condividi la tua opinione con altri utenti.